The Canon T15-II 1.5x Tele-Side Converter delivers a 50% increase to the focal length of your existing camera lens. Longer shots and perspective compression are made possible by simply fitting this converter onto your master lens. Depending on which lens you wish to use in conjunction with the T15-II converter, a separate Canon adapter will need to be employed for proper mounting. 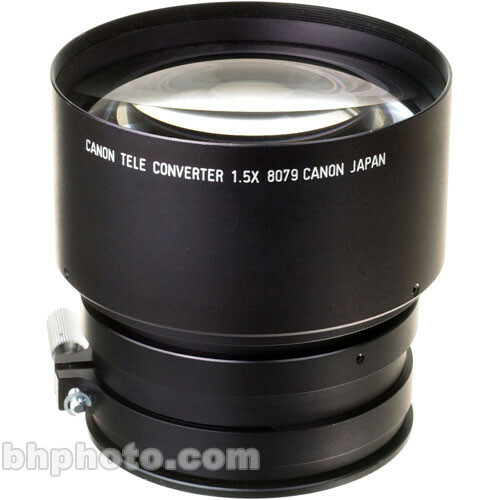 Note: Canon adapter 85II or 98II must be used to attach this converter to your master lens. Box Dimensions (LxWxH) 8.0 x 8.0 x 7.5"